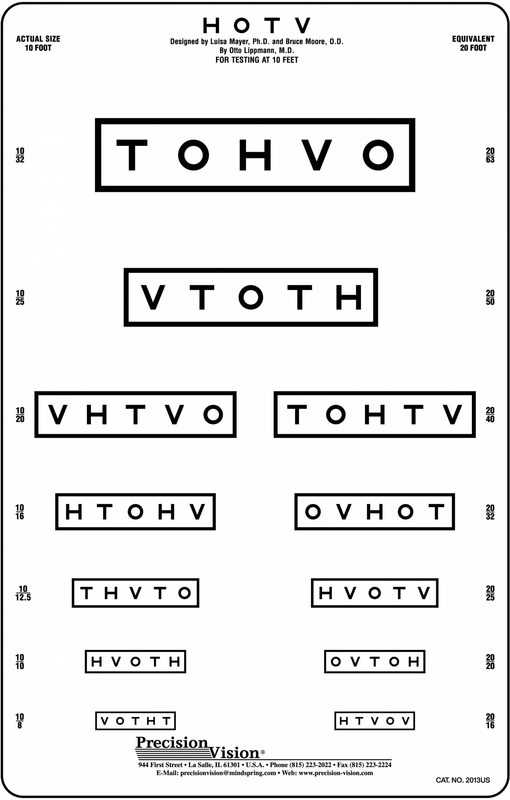 Two smaller groups 6M to 1.5M for repetitive testing (20/40, 6/12 to 20/16, 6/4.8 equiv.). 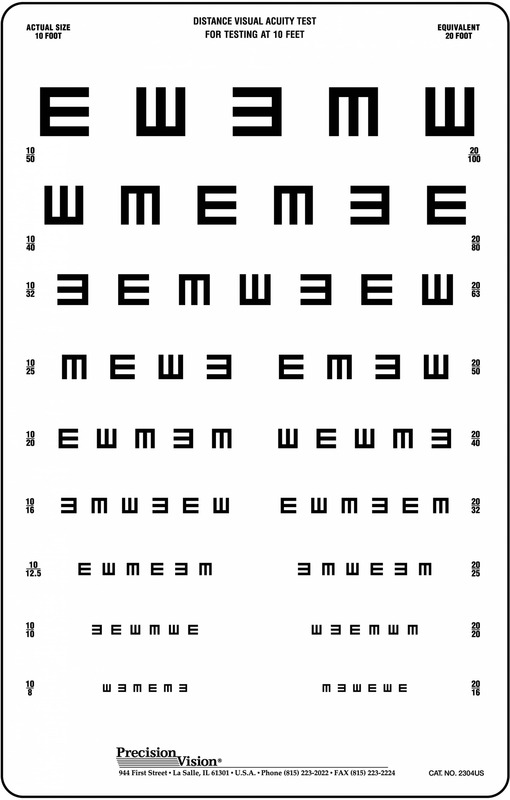 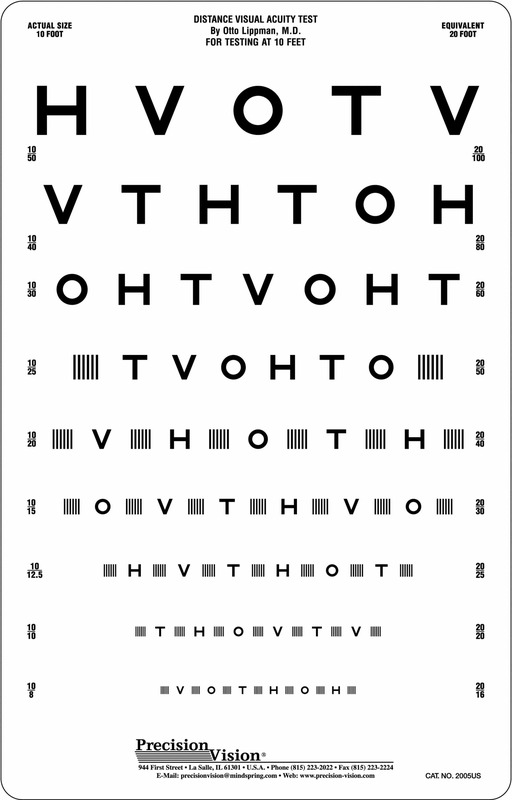 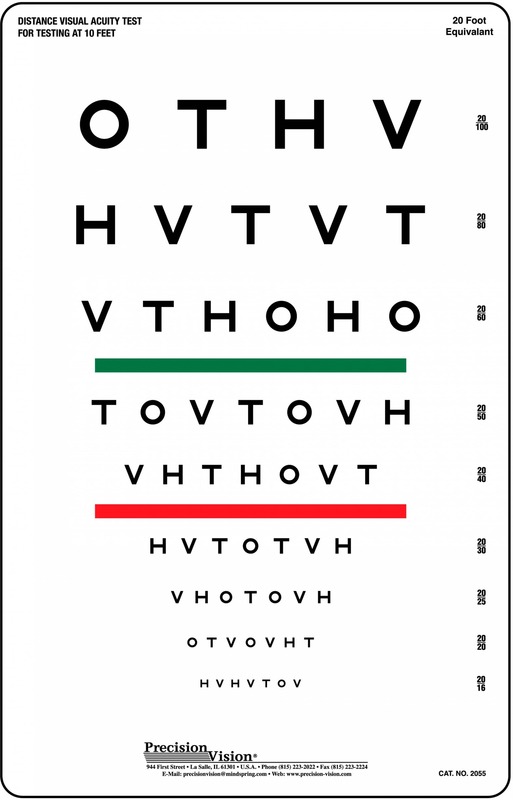 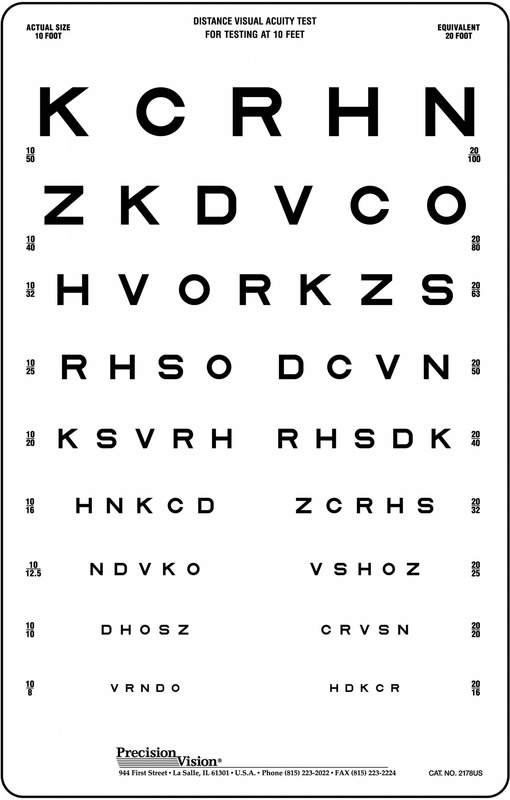 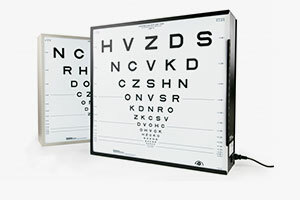 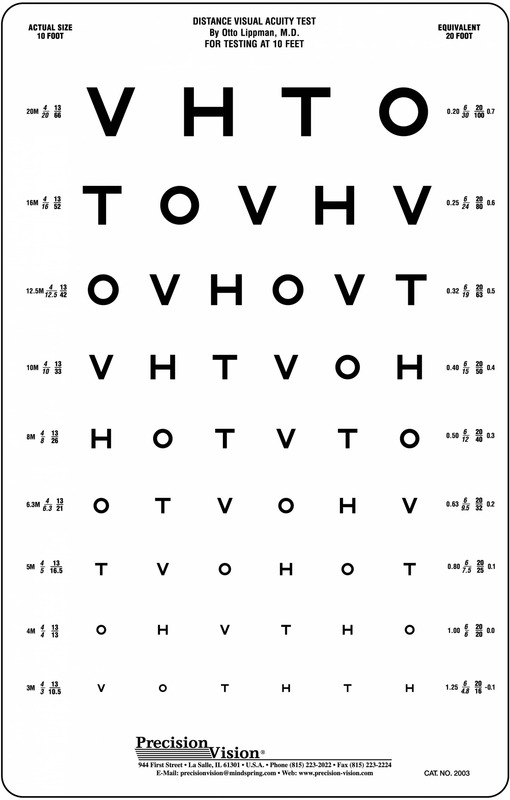 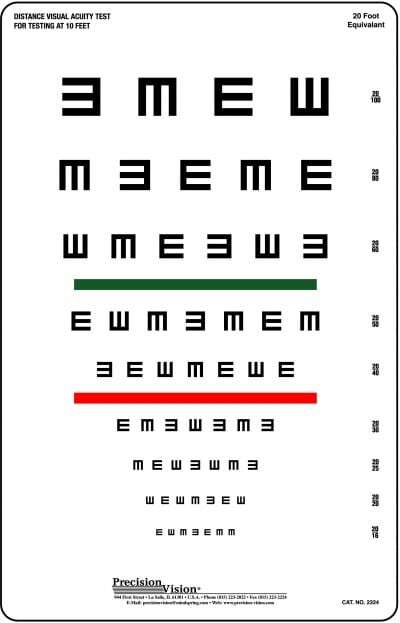 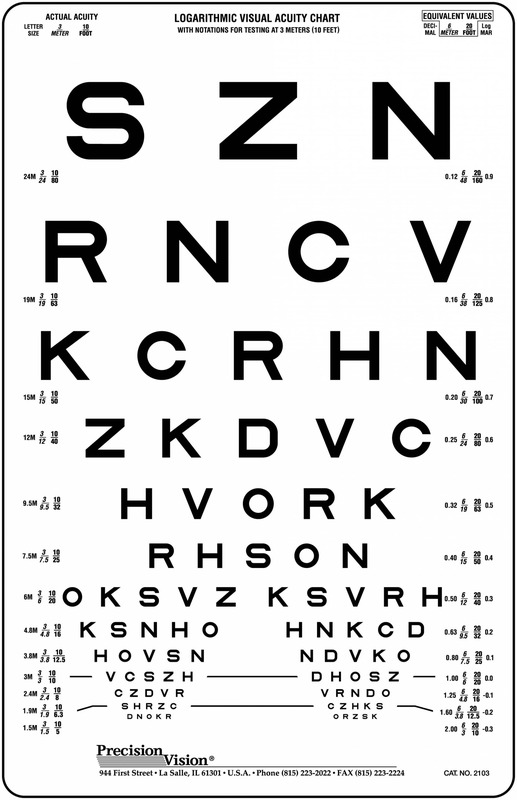 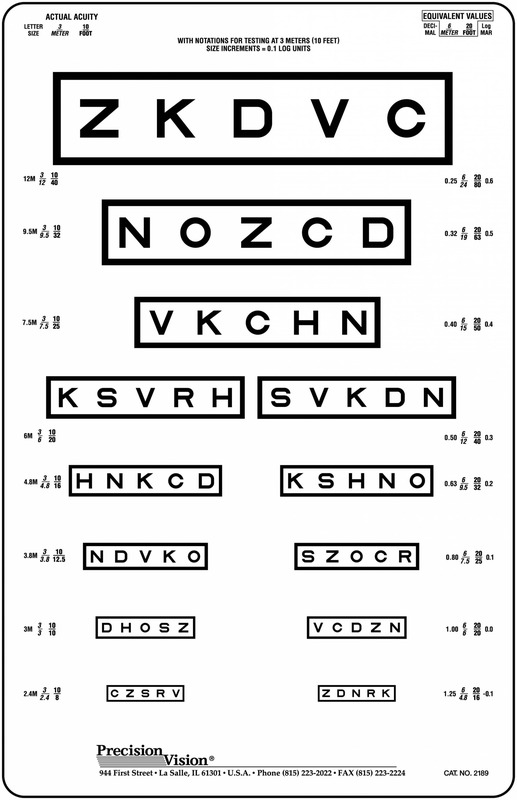 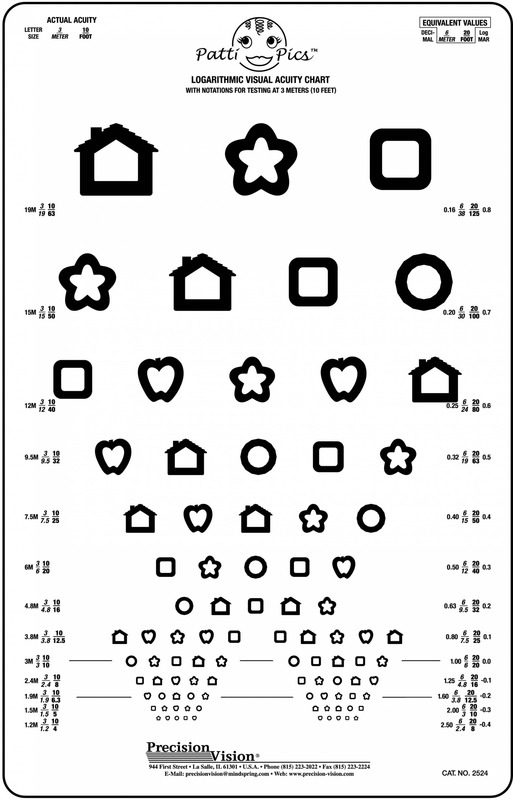 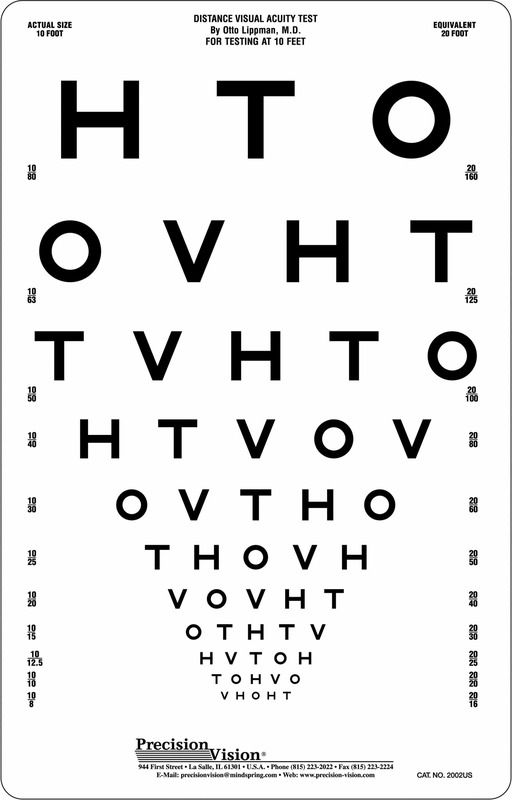 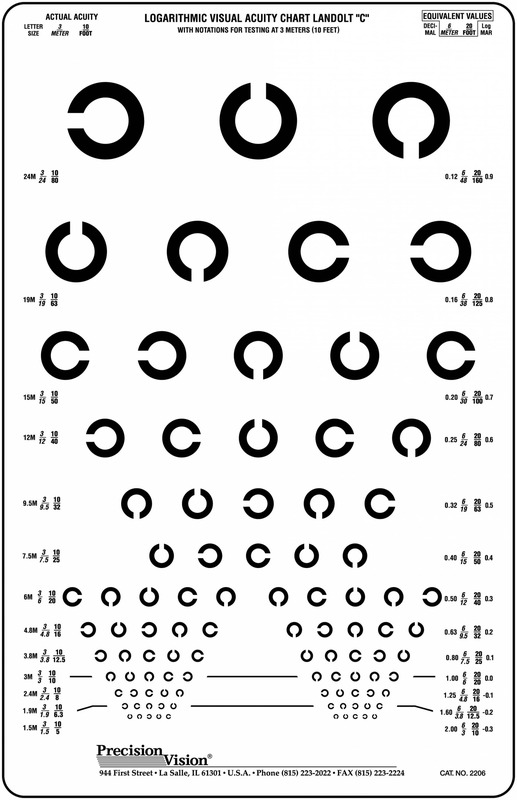 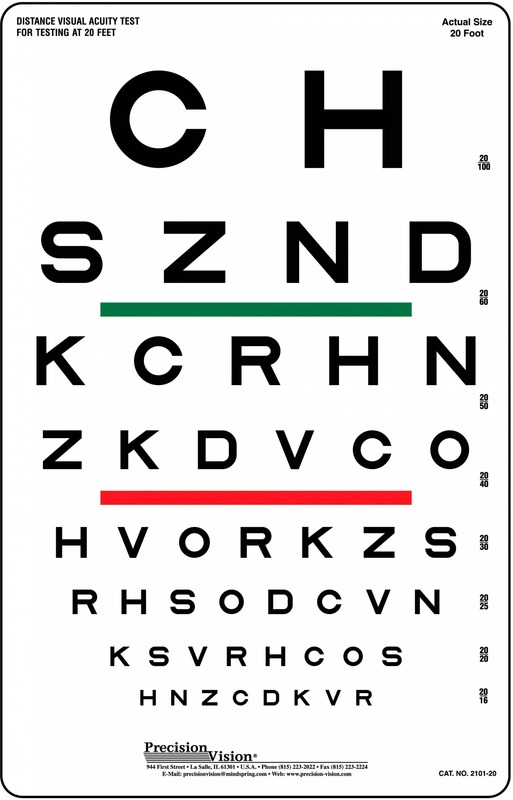 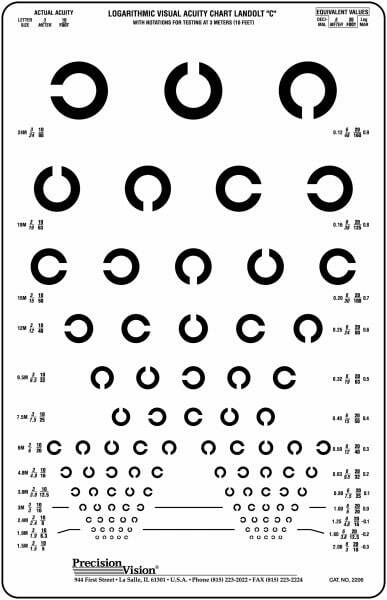 Made of shatter proof polystyrene, this Landolt C eye chart is used world wide to test visual acuity. 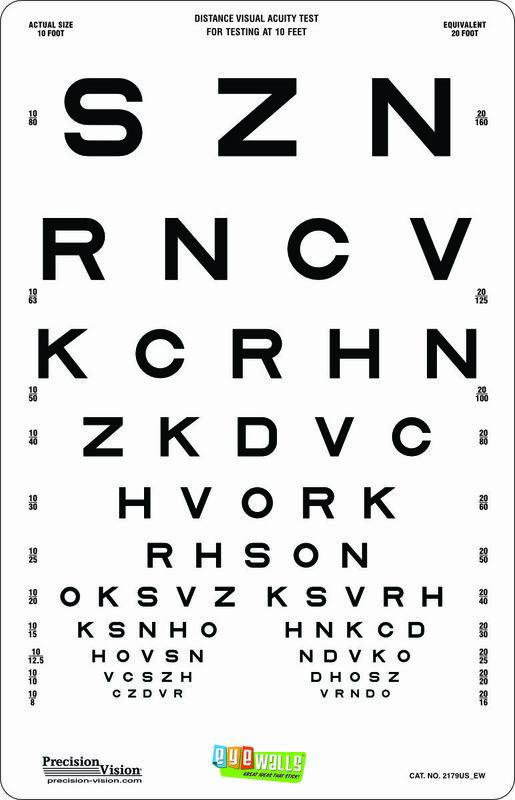 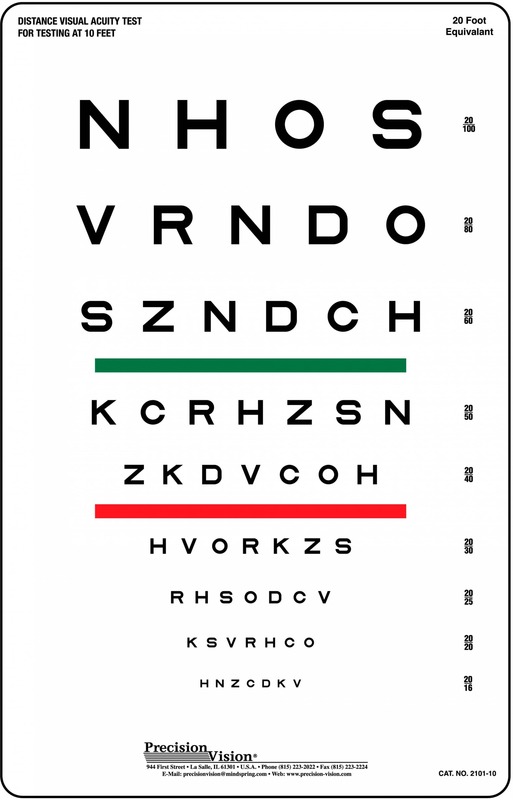 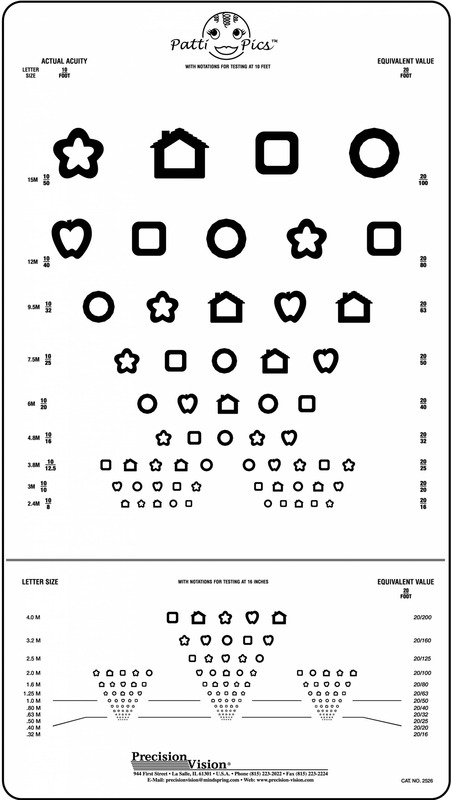 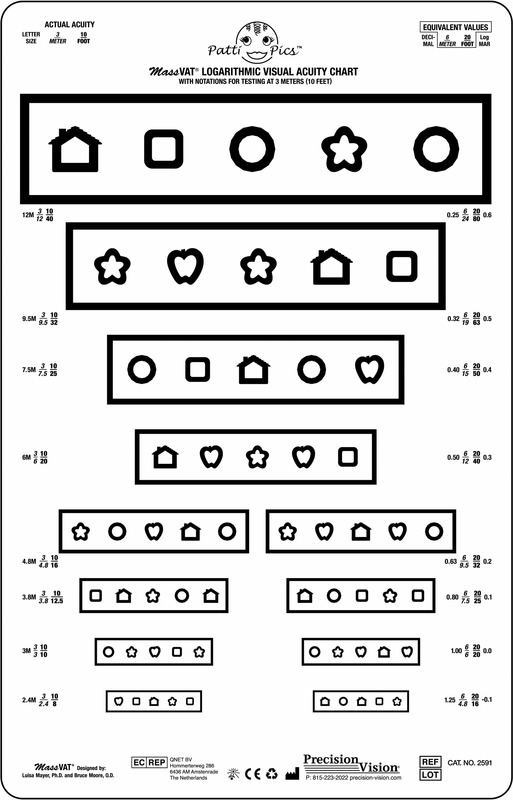 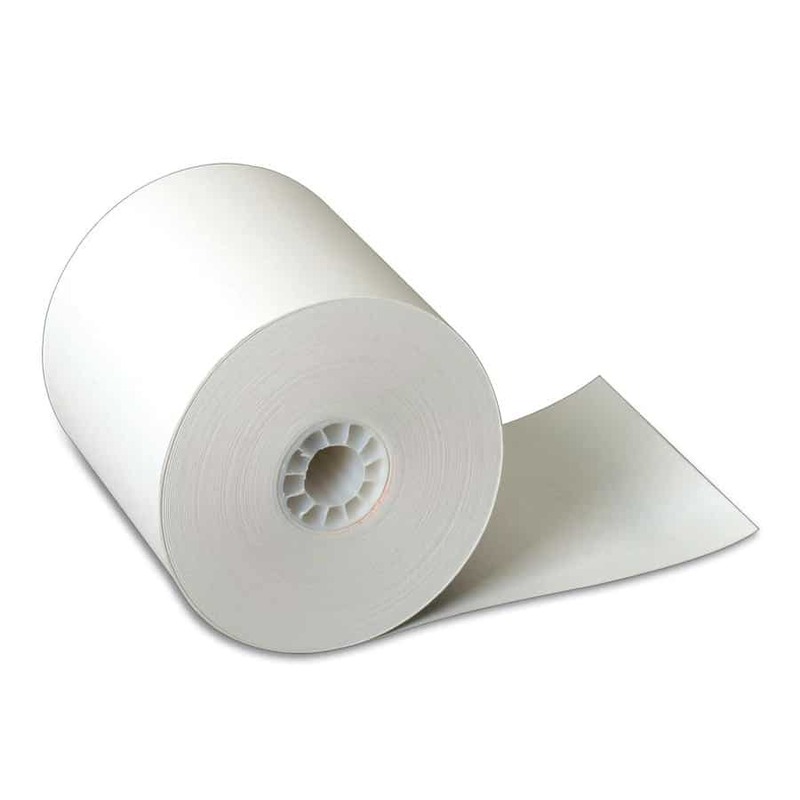 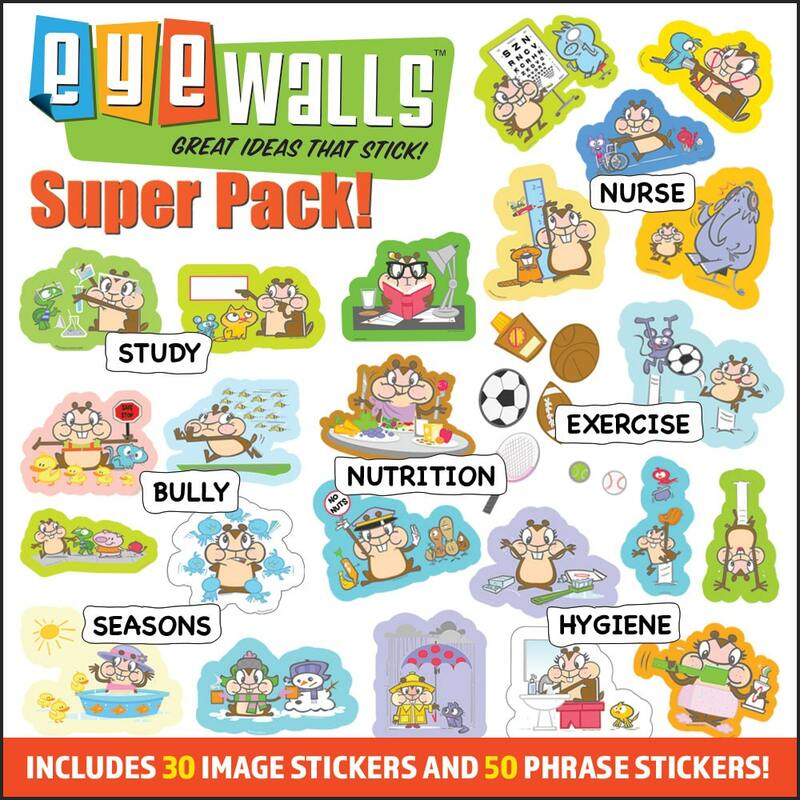 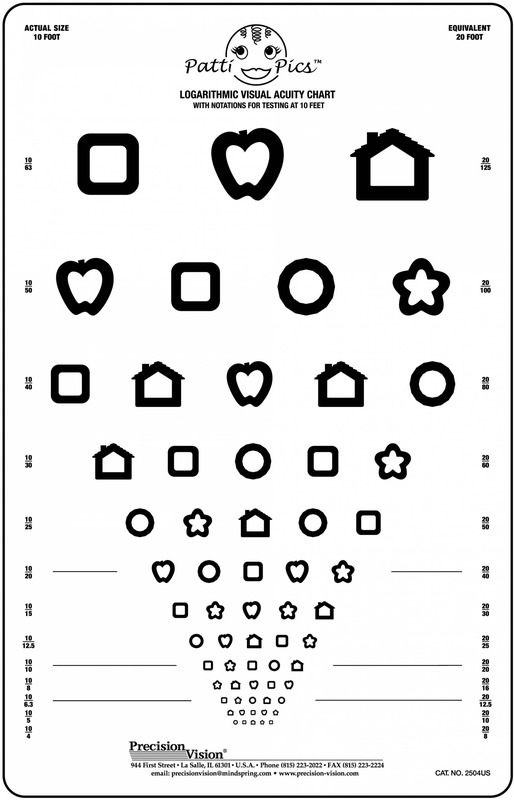 U.S. vision notations and international notations are printed on each side to help aid in the vision screening process.